Thank you to everyone who came to our event! I delivered the food to the Church Street Ministries and Frannie was so happy! 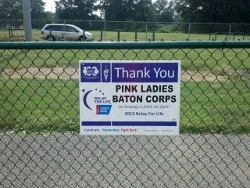 I am very proud of all the girls for a helping put together this great event. 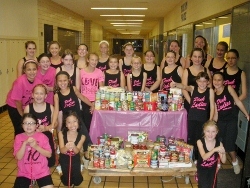 We look forward to putting on another twirl for hunger in the spring!!!! The Catch It! 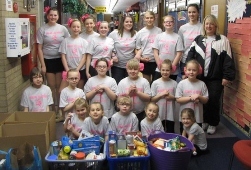 Magazine article reads: Kudos to the Pink Ladies Baton Corp. of Berea, Ohio who filled 8 baskets and boxes with food and cleaning supplies for a local food bank during an April fundraiser called Twirl for Hunger!